Do you need a professional siding contractor in Lincolnshire IL that not only installs top quality siding products but also stands behind their work and service? Look no further than Siding & Windows Group. We have completed hundreds of siding installations in the Lincolnshire IL and surrounding Chicagoland areas. Siding & Windows Group has the reputation as Lincolnshire’s leading siding contractor and are recognized as a leader in the siding industry for originality, innovation, and architectural integrity for exterior design. James Hardie Siding a trusted name in the siding industry is known for their beautiful and durable siding. James Hardie Siding is developed with ColorPlus Technology and an authentic design that has swept through the country. Choosing a trusted and experienced contractor to install your siding is important to us, that is why Siding & Windows Group provides the highest level of experience installing siding to each of their customers. 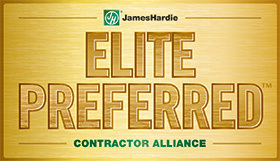 In doing this, they are recognized as a James Hardie Elite Preferred Contractor. As a Preferred Contractor, Siding & Windows Group guarantees you with siding fit for your house with the ability to endure the elements and last for generations to come. Contact us today to get a free quote on James Hardie Siding for your Lincolnshire home. With many benefits of choosing Vinyl Siding for your Lincolnshire home, it is no wonder is a popular choice among siding. Contact us today for a free quote. The picture above is a siding project Siding & Windows Group completed in Lincolnshire IL. We installed beautiful James Hardie siding and trim to update this home. Browse this project and other siding jobs we’ve completed here. The decision to replace the siding on your home is a big investment and comes with a lot of decisions to make. That’s why it’s important to get all of the facts about the different siding options and siding contractors in Lincolnshire, so you can make the right choice about siding for your home! You can’t afford not to be picky and not choose the best! Siding & Windows Group, is proud to bring the best quality siding products to the Lincolnshire community, including James Hardie siding. To learn more about the benefits of this top-quality fiber cement siding, click here. Siding & Windows Group is the premier Lincolnshire siding contractor that’s committed to offering only the highest quality products with the best customer service and professional installation. Click here to receive a free estimate for your Lincolnshire siding project from Siding & Widows Group! Allow one of our siding professionals to visit your home, listen to your project needs and answer any questions you may have. Greg, the owner and project manager was great to work with. The salesman gave me great suggestions and helped me make the right decisions. The foreman and his crew were very nice and polite. Their workmanship was exceptional. – Happy Customer. 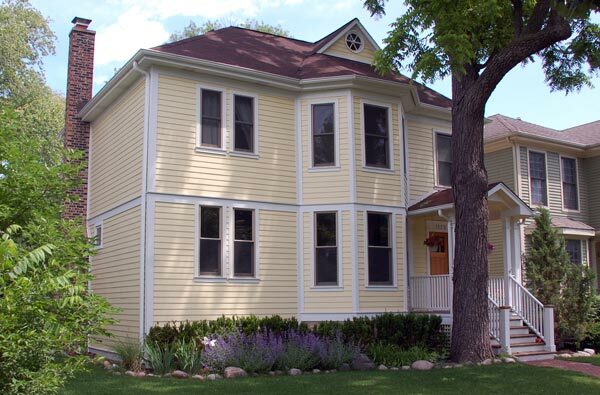 Click here to read more siding testimonials from homeowners in Lincolnshire and other Chicago areas.